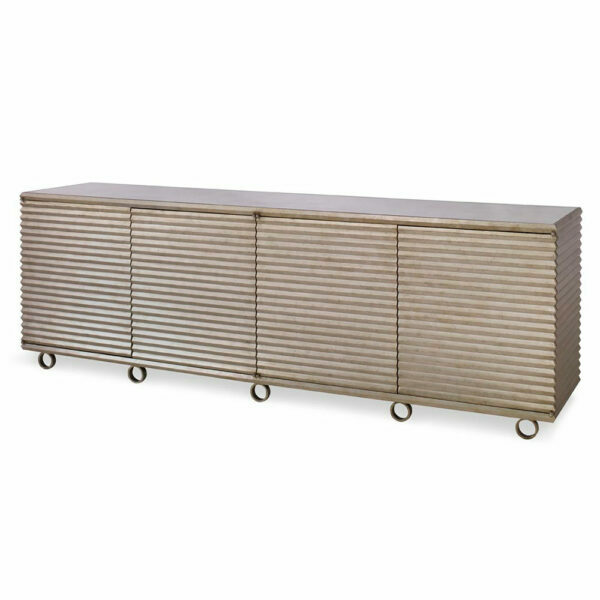 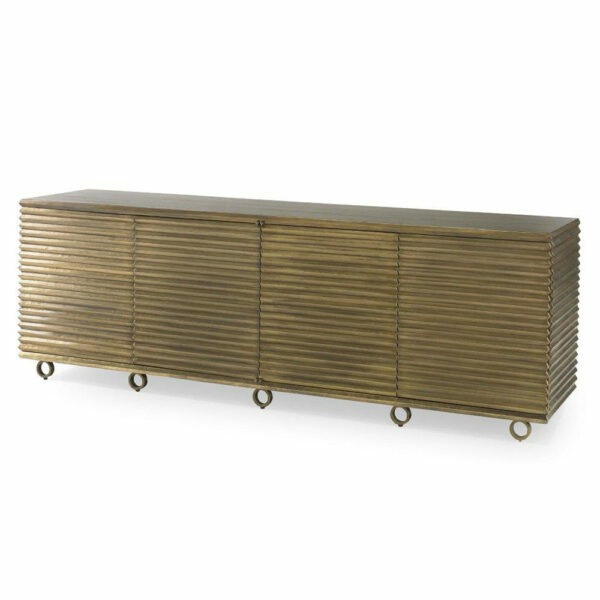 The Storm Cabinet features a corrugated motif on three-sides that is hand-wrapped in brass and rests on five circular brass feet. 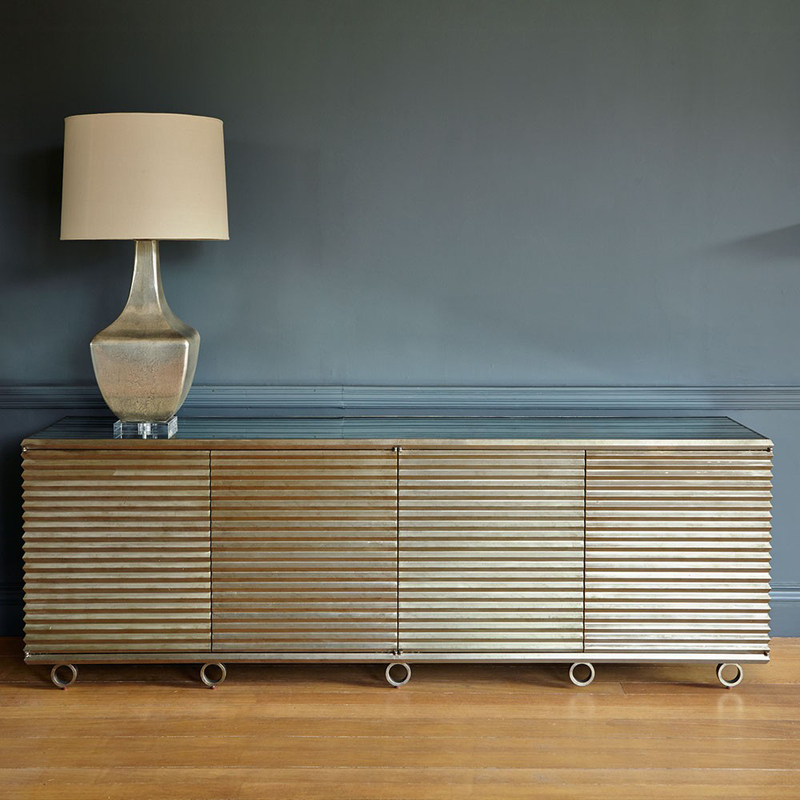 The Aged Mirror top is both stylish and functional. 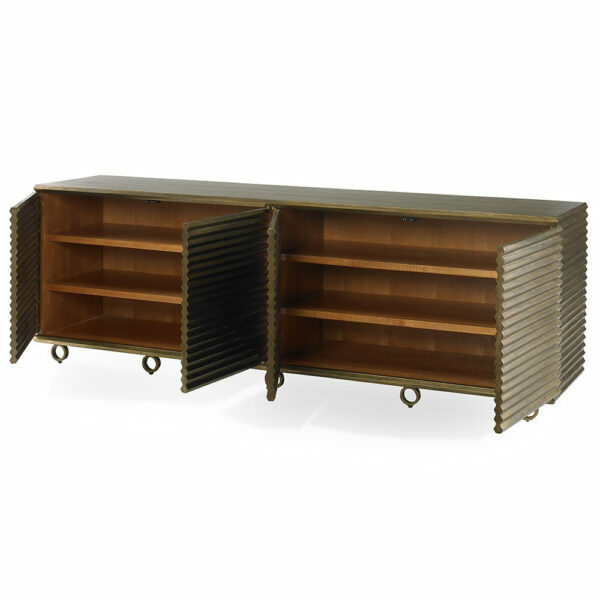 Two interior compartments are lined in sycamore and include two adjustable shelves.